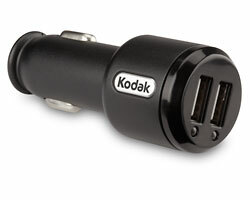 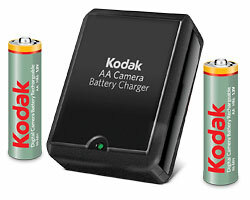 KODAK Ni-MH Value Charger K620-PC-C+4 KODAK Ni-MH Value Charger K620-PC-C+4The economical overnight charger. 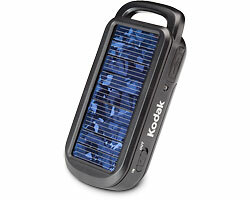 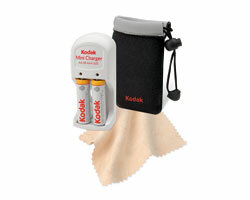 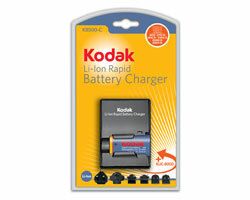 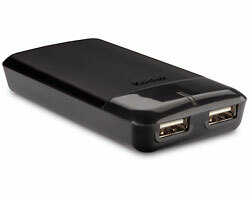 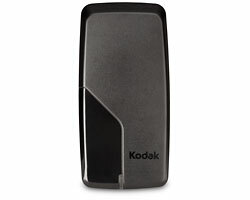 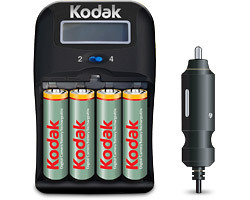 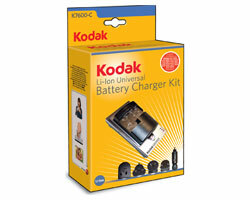 Includes 4 KODAK Ni-MH Pre-Charged Rechargeable Batteries AA. 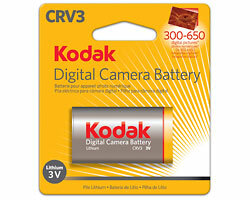 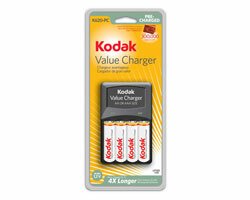 KODAK Lithium Digital Camera Battery CRV3 KODAK Lithium Digital Camera Battery CRV3KODAK CRV3 Lithium Digital Camera Batteries yield approximately 300–650 digital pictures. 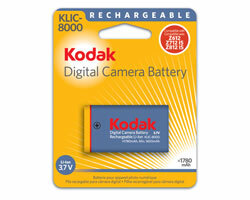 KODAK Li-Ion Rechargeable Digital Camera Battery KLIC-7002 KODAK Li-Ion Rechargeable Digital Camera Battery KLIC-7002Stay powered and ready to go with the KODAK Li-Ion Rechargeable Digital Camera Battery KLIC-7002. 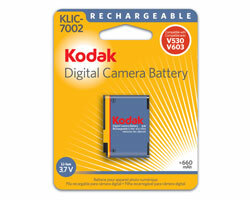 KODAK Li-Ion Rechargeable Digital Camera Battery KLIC-7006 KODAK Li-Ion Rechargeable Digital Camera Battery KLIC-7006Stay powered and ready to go with the KODAK Li-Ion Rechargeable Digital Camera Battery KLIC-7006. 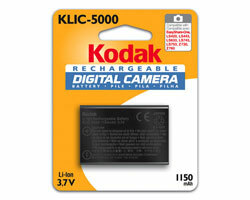 KODAK Li-Ion Rechargeable Digital Camera Battery KLIC-7004 KODAK Li-Ion Rechargeable Digital Camera Battery KLIC-7004Stay powered and ready to go with the KODAK Li-Ion Rechargeable Digital Camera Battery KLIC-7004. 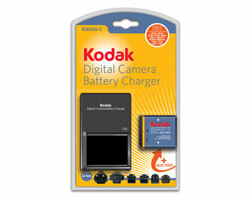 KODAK Li-Ion Rechargeable Digital Camera Battery KLIC-7003 KODAK Li-Ion Rechargeable Digital Camera Battery KLIC-7003Stay powered and ready to go with the KODAK Li-Ion Rechargeable Digital Camera Battery KLIC-7003. 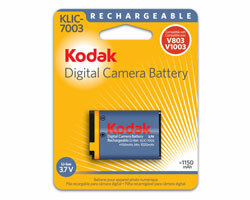 KODAK Li-Ion Rechargeable Digital Camera Battery KLIC-7001 KODAK Li-Ion Rechargeable Digital Camera Battery KLIC-7001Stay powered and ready to go with the KODAK Li-Ion Rechargeable Digital Camera Battery KLIC-7001. 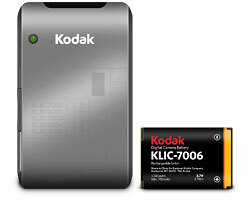 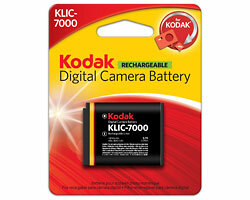 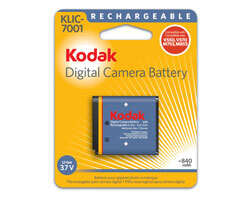 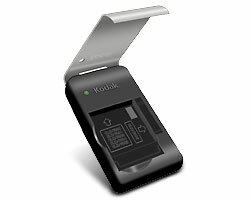 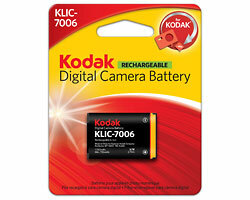 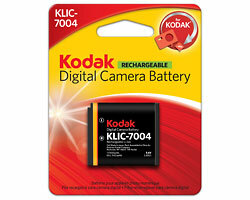 KODAK Li-Ion Rechargeable Digital Camera Battery KLIC-7000 BUY IT NOW KODAK Li-Ion Rechargeable Digital Camera Battery KLIC-7000 Stay powered and ready to go with the KODAK Li-Ion Rechargeable Digital Camera Battery KLIC-7000.